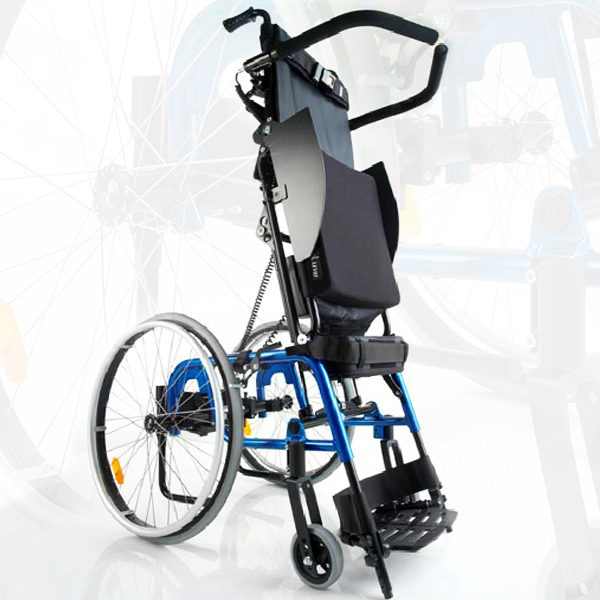 The LEVO LCEV is our lightweight, manually propelled, power standing wheelchair. 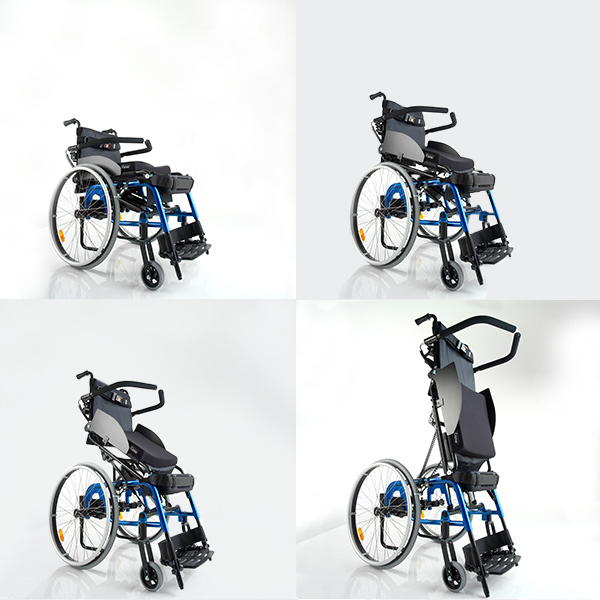 The lightest power sit-to-stand wheelchair available, the LCEV allows its user to live an active lifestyle, without sacrificing the convenience of electric motor-driven transitions between sitting and standing. The LEVO LCEV is an agile manual wheelchair that stands at the touch of a switch. The quiet reliable electric actuator moves you from seated to full standing, with the ability to stop securely at any position in between. The LCEV Kid and Junior provides all the same features for your child. The LCEV’s integrated design features enable you to have full control of your lifestyle.